What is Scientology | The ‘Reverend’ Robert H Thomas | Amazing Science Fiction Stories | March 1971 | Pages 104 – 112 | Download entire issue as .pdf (download link will appear in new tab). I have posted an issue of “Amazing” here before . That one was from November 1970. 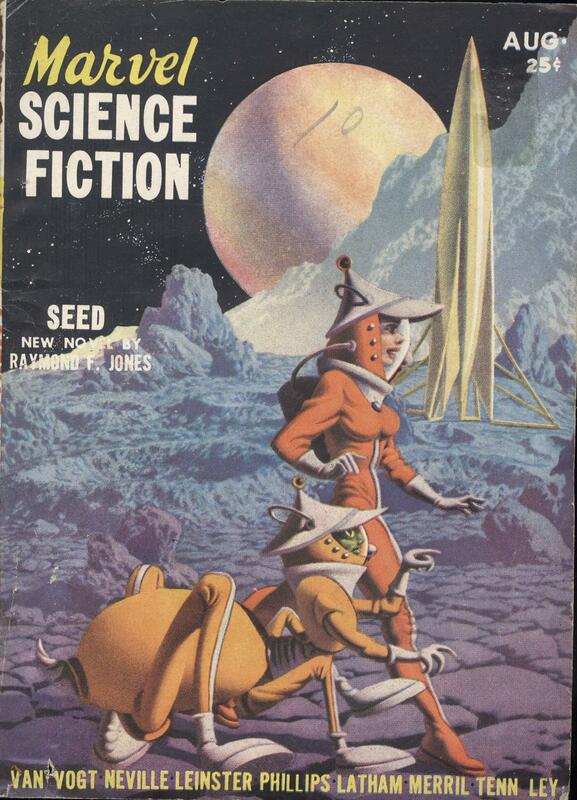 It featured a reassessment of ‘Dianetics, more-or-less 20 years after it was introduced to the world in the May 1950 issue of “Amazing’s” rival, “Astounding Science Fiction“. In it, Barry N Malzberg went along to a Scientology org, took a ‘communications course’ and was generally very unimpressed by the whole proposition. He was scathing about Hubbard and dianetics. It must be said that this expression of scepticism was good for the magazine. “Amazing” had a little catching up to do in the credibility stakes and knew it. Five years before “Astounding Science Fiction” published the first article about dianetics, they had fallen for a author whose claims were at least as implausible as Hubbard’s. Although they had traded on “The Shaver Mystery” fad that resulted, it ultimately damaged their reputation. Now they had an opportunity to implicitly criticise the credulity of the editor of the market-leading “Astounding Science Fiction”, John W Campbell, for falling for dianetics to the extent that he heavily promoted it as “a new science of the mind”. They took it. However, in March 1971 “Amazing” had been struggling with a falling circulation for some time, and was in dire straits. It was vulnerable. At this time, it incomprehensibly published an propaganda piece entitled “What is Scientology” written by the ‘Reverend’ Robert H Thomas – Deputy Guardian for the US Churches of Scientology. The Guardian’s Office was, of course, Scientology’s secret police and dirty tricks department. I think it’s likely that this uncritical article appeared as a result of improper pressure from the Guardian’s Office – Scientology took the opportunity to kick “Amazing” when it was down and settle a score. Why Is A ‘Clever’ Magazine Like The “New Statesman So Dumb When It Comes to Scientology? New Statesman | February 2017 | “Telling Tales”| John Sutherland | Download as .pdf (to download, click on the grey ‘Download through Browser’ button which will appear in a new tab). 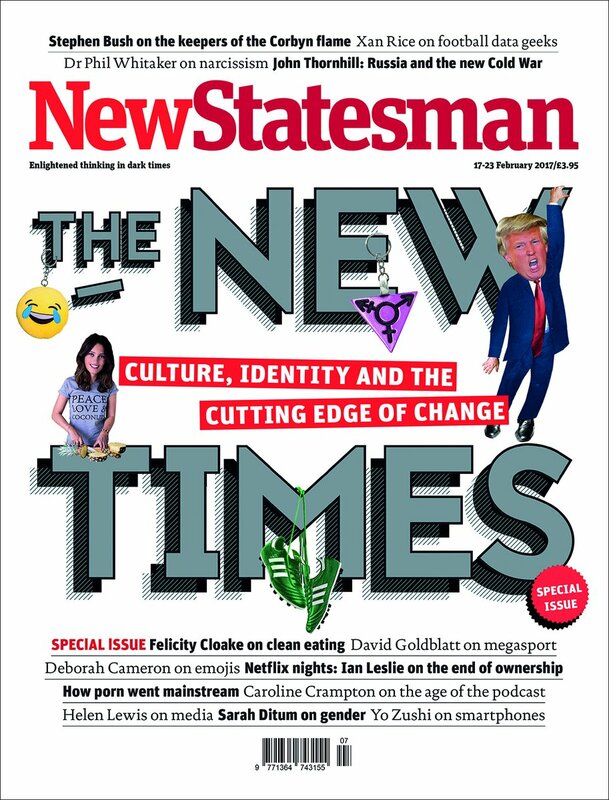 The New Statesman, is a well-established national magazine published in London. It bills itself as offering intelligent writing about politics, current affairs and culture, taking a liberal, sceptical stance. The February 2017 issue lives up to this claim. It contains a variety of interesting articles on all of those subjects. However, at the very end it rather blots it’s copybook with a ‘humorous’ and dismissive account of the writers encounter with Scientology, years ago. 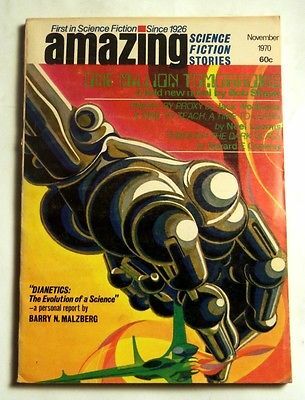 Amazing Stories November 1970 | “Dianetics: The Evolution of a Science” – A Personal Report by Barry N Malzberg | Pg 75 | Download as .pdf (to download, click on the grey ‘Download through Browser’ button which will appear in a new tab). In this issue Barry Malzberg marked the (more-or-less) 20th anniversary of the publication of the iconic article by L Ron Hubbard in “Astounding Science Fiction” which kicked off the dianetics fad in May 1950. 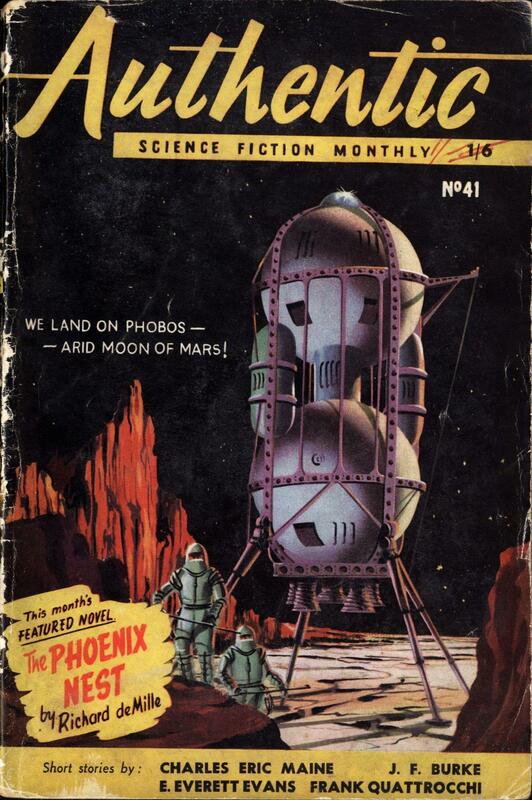 Authentic Science Fiction Monthly No 41 | Jan 1954 | Featured Novel: The Phoenix Nest | Richard DeMille | Download Issue as .pdf (to download, click on the grey ‘Download through Browser’ button which will appear in a new tab). Scientology has cultivated celebrities for years, now and treats celebrity members like royalty. They are one of the few means that the Church has left to project a positive image and attract attention to its message. Tom Cruise is the Jewel in Scientology’s tarnished crown, but they also count a number of minor celebrities and fading stars among their members. This obsession isn’t new. 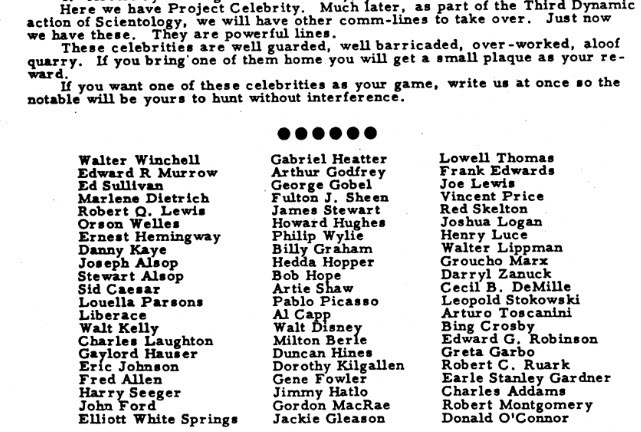 In early1955, an article in the Scientology periodical “Ability” by L Ron Hubbard offered a reward to any Scientologist who recruited anyone on a list of named celebrities . That article is probably the first written evidence of such a policy, but Hubbard recruited minor celebrities before it became a fixed doctrine, and exploited the resources they provided him with and interest they drew. One of the early Scientology celebrities was Richard deMille who was, for many years, presented as the son of the film director Cecil B deMille. 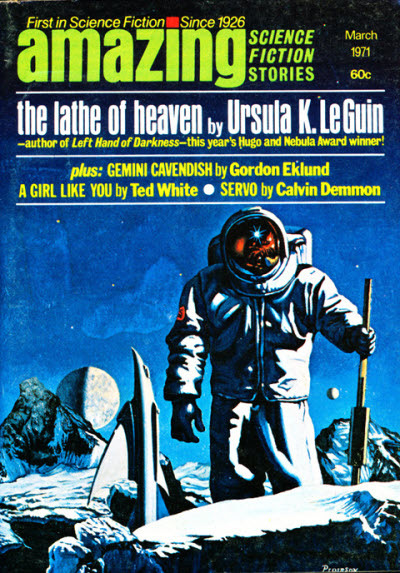 Among other things, he wrote for science fiction pulp magazines (as did L Ron Hubbard). I’ve been busy lately, and have got behind with my latest series of posts. To fill in, I thought I’d publish this, without much comment. It’s an article from issue 19 of “International Scientology News”. 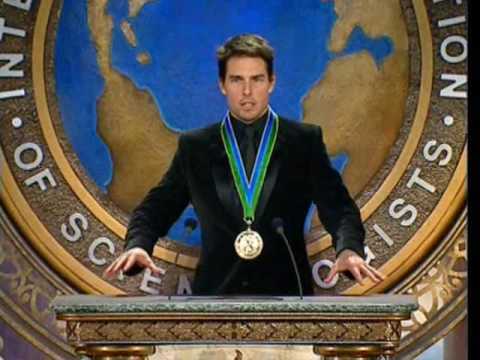 It describes the presentation of Tom Cruise with “The”Freedom Medal of Valour” – the highest award given to Scientologists by Scientology, and especially created for Cruise alone. The person who scanned the magazine did not seem to have the means to quite image the pages in one go, so theymade two, overlapping, images of each. I’ve combined them again, using the excellent (and free) “Gnu Image Manipulation Program.” See if you can spot the join. The rampant sycophancy of this ‘event’ and its coverage was designed to draw Cruise back into Scientology, and seems to have succeeded. It was at a price, however. Marvel Science Stories |August 1951 | Download as .pdf (Click on the grey ‘download through your browser’ button in new tab). 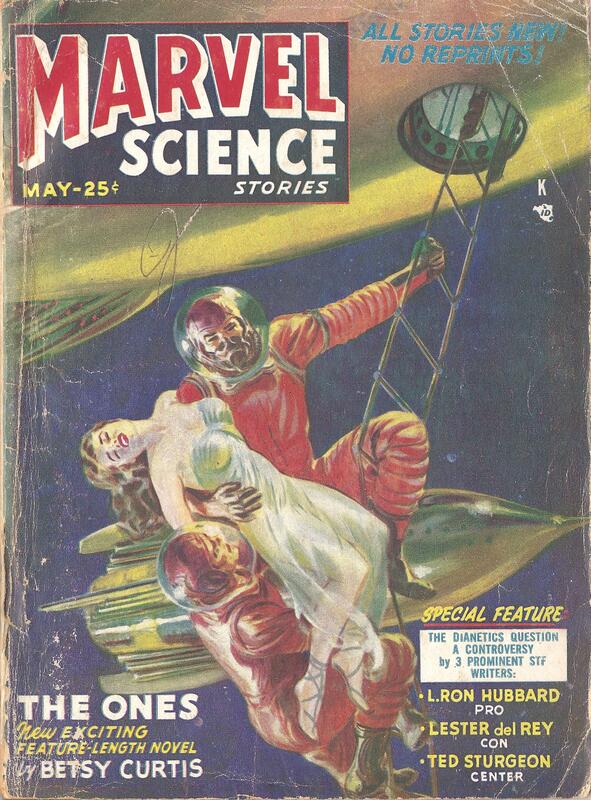 In my previous post (which was published simultaneously here and on Tony Ortega’s excellent blog) I examined an article in the May 1951 issue of the science fiction pulp magazine “Marvel Science Stories”. This was published one year after the first description of “Dianetics” appeared in “Marvels” greatest rival, the market leading “Astounding Science Fiction“. In the “Marvel” article, L Ron Hubbard defended dianetics, and two prominent SF writers put alternative views. Theodore Sturgeon, (whose opinion was presented as “middle of the road”) appealed for an open-minded assessment, advising critics to “read the more understandable parts of the (acutely badly-written) book [i.e. Dianetics].” Lester Del Ray demolished both dianetics and Hubbard’s counter-arguments. Hubbard’s creation did not emerge well. Back in 1951, reader’s letters were the only feedback available to publishers, and it took a long time for them to appear in print. 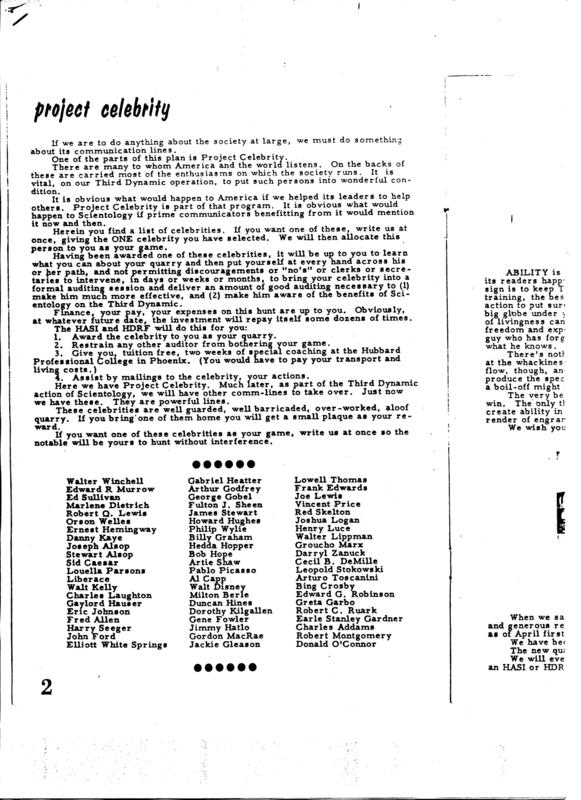 It wasn’t until the August 1951 that “Marvel” published a large selection of letters commenting upon, “The Dianetics Controversy” (they begin on page 99). Marvel Science Stories | Special Feature – The Dianetics Question: A Controversy| L Ron Hubbard, Theodore Sturgeon, Lester del Rey | Portraitist Carl Burgos | May 1951 | Download whole issue as .pdf |Download Article Only as .pdf (Click on the grey ‘download through your browser’ button in new tab). During this time, the editor of”Astounding”, John W Campbell ( initially an enthusiastic convert) had promoted dianetics for all he was worth. However, by March 1951 the dianetics fad had run its course in “Astounding” (you can follow the rise and fall of dianetics in “Astounding Science Fiction” here). “Marvel” took this opportunity to capitalise on the interest in the subject that had been generated by “Astounding” among SF fans by publishing a written debate between Hubbard and two prominent SF authors. Hubbard didn’t get the easy ride he’d had from Campbell. Although Theodore Sturgeon rather sat on the fence, he was far from enthusiastic and Lester del Rey dismissed dianetics as absurd pseudo-science.